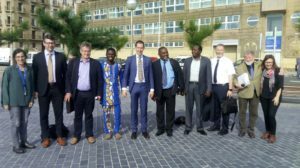 During the last two months Tknika has been working hard on networking with other UNEVOC NETWORK MEMBERS from all around the world. 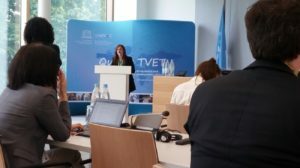 On May 24th and 25th UNESCO-UNEVOC International Centre organized a two-day TVET Learning Forum hosting more than 100 global TVET stakeholders to understand the impact of different ongoing disruptions on skills, and discuss how their TVET systems are responding to the challenges and opportunities in the era of digital disruption, sustainable development, and displacement of people. 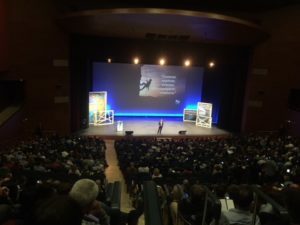 Tknika contributed to the Learning Forum sharing the Basque experience on Entrepreneurship Education. Inge Gorostiaga, expert on entrepreneurship education and developing entrepreneurial culture among students and responsible for the Entrepreneurship Area in our UNEVOC-CENTRE, took part as a panellist on the third plenary session: Enhancing pathways for learning. During the session different policy and institutional approaches and routes that can support and enhance learning pathways for young people, disadvantaged and vulnerable groups including women, and displaced individuals were analysed. It was chaired by Mr. Loukas Zahilas, Senior Expert at CEDEFOP, and, apart from Inge, the panellists from BiBB- Germany, UNESCO and Skills Policy Ltd., TESDA – Philippines, and the Prime Minister’s Office Iraq shared their insights. Promoting entrepreneurial education is key to adapting to disruptions. In a time of disruptions, a traditional way of teaching and learning in the education system is no longer sufficient. Entrepreneurial education helps young people to adapt to disruptions, to cope with any challenge in life and to create values. It is essential to promote experiential learning. In entrepreneurial education, it is crucial to help students to experience and to learn from experience (including failures), and to develop entrepreneurial mindset and values, which is not limited to knowledge about entrepreneurship and how to start business. There should be more investment in teacher training and development of a conducive entrepreneurial culture in TVET institutions. All TVET teachers, regardless of their disciplines, must have entrepreneurial mindset. 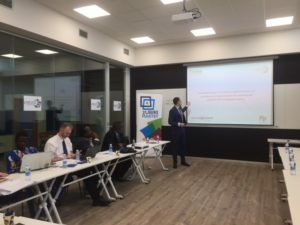 At the same time, TVET schools have to be open to mobilize and bring in partners from the community and the business world, for example, to inspire and to serve as mentors. 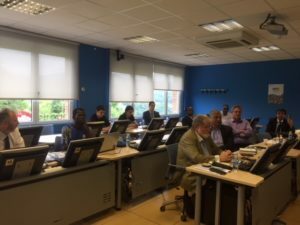 Between the 30th of May and the 1st of June, the Vice Ministry of Vocational Education and Training of the Basque Government organised the International Encounters on Vocational Training. The topic of this year was: Anticipating the Future. 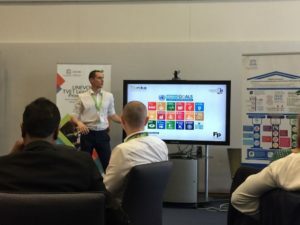 Participants from more than 40 countries around the world, including UNESCO-UNEVOC and 8 UNEVOC Centres discussed current and emerging challenges posed by the ongoing digital transformation of industry and businesses, and responding to them through increased collaboration and knowledge exchange. The conference focused on four main topics that included the development of TVET systems in alignment with the transitions related to Industry 4.0, the future of applied innovation and research in TVET, promoting synergies and collaborations in knowledge exchange between international networks on VET, and the Basque Technical and Professional Education and Training Plan. The opening session of the conference included addresses from Mr Iñigo Urkullu, President of the Government of the Basque Country, Dr. Cristina Uriarte, Minister of Education of the Basque Government, and Ms. Arantxa Tapia, Minister of Employment and Economic Development of the Basque Government. 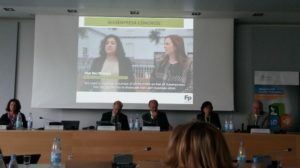 The session also included the presentation of the 5th Basque Plan for Professional and Technical Education by the Deputy Minister of Professional and Technical Education for the Basque Government, Mr. Jorge Arévalo. Mr. Jens Liebe, Senior Programme Expert at the UNESCO-UNEVOC International Centre represented the centre at this panel. 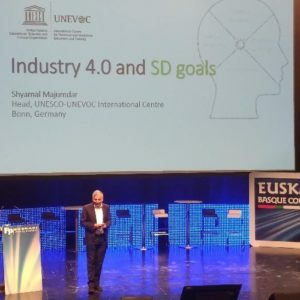 Mr. Shyamal Majumdar, Head of UNESCO-UNEVOC International Centre also delivered a keynote speech addressing Industry 4.0 in the context of the Sustainable Development Goals. He extoled the need to adapt teaching and learning respond to the dynamic demands from the world of work. He stressed upon the need to reorient training such that it is more challenge based, idea based and innovation oriented, and yields the right kind of skill-sets that enables the learners on a path of productive employment and lifelong learning. 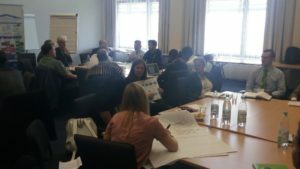 Building on this conference, Tknika and the UNESCO-UNEVOC international centre organised sessions for the UNEVOC Network on the sidelines of the Conference. On May 30, UNEVOC Centres shared updates on their respective activities and were also apprised of the UNESCO-UNEVOC Medium Term Strategy II (MTS-II) to enable them to find further opportunities of deepening their engagement and mutual collaboration. ZUBIRI MANTEO TVET Centre generously lent us a room to host the meeting. 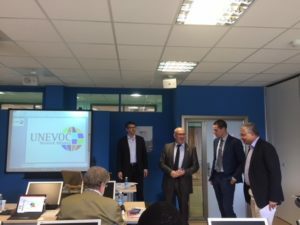 On May 31, UNESCO-UNEVOC organized a session on Industry 4.0 in Tknika. Following a short introduction by Mr. Shyamal Majumdar – Head of UNESCO-UNEVOC and the warm welcome of Mr. Iñaki Mujika -Executive Director of Tknika, UNEVOC Centres gave short presentations on good practices, cases, and the challenges they face in the context of Industry 4.0. 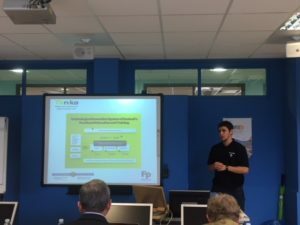 Mikel Leunda, responsible for the 4.0 Industry Area in our UNEVOC-CENTRE and expert in the topic, shared with the UNEVOC NETWORK the work of the Basque TVET with the Tkgune Programme and the Hubs. 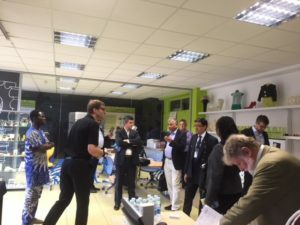 This was followed by a visit of Tknika’s Industry 4.0 demonstration in different labs (robotics and automation, 3-D printing, Virtual and Augmented Reality labs).